Until the Moment Comes. Plexiglas Mounted C-Print. 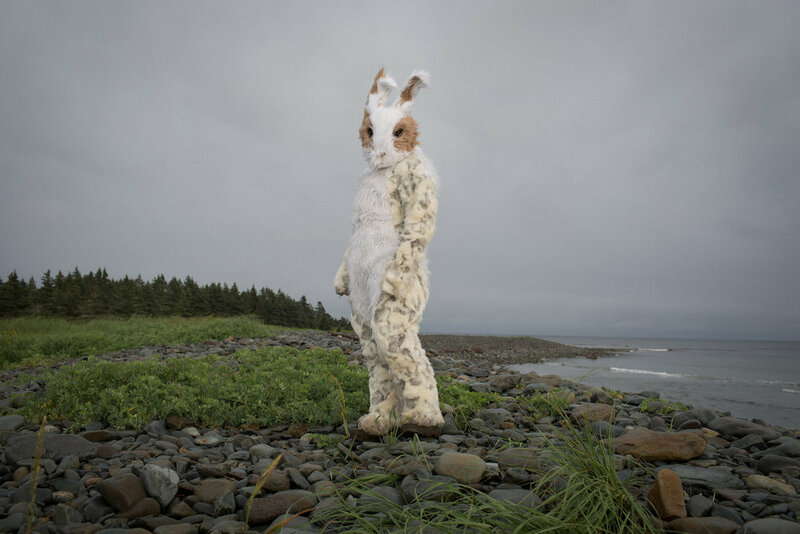 Laura Jane Petelko, a photographic artist living in Toronto, Canada, explores in her Artworks the psychology of ‘ones’ identity, self-image and times of transformation. As today artists look for the universal and ubiquitous, artistic expression has developed contemplating diversity, contrast and innovation. Some popular topics come from films, television, and cartoons that have influenced our last century as artistic expressions. Today, computer and TV screens are everywhere. Movies, photography, video, and television are sources of present culture and information in conjunction with internet and cellular communication. Among the fonts of artistic exploration, toys imagery is created to portray feelings, love, and spirituality. Laura Jane Petelko photographic Soft Stories Series search for beauty and emotion that viewers will feel when looking at them, also enhanced by serene and attractive landscapes surrounding the actors’ interaction. 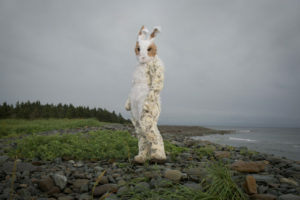 Petelko creates with her characters, sophisticatedly dressed in animal costumes, but acting like passionate human beings, imagery that positions them as sculptures with the exclusive quality that happens when a refined sense of comedy and unpredicted theatrical action merges with the most exquisite technique. Reaching clarity, balance, essential form and grace, Laura Jane Petelko obtains the equivalent of perfection of any form of Art. Studying at Vancouver film school and Apprenticeship in fine art and commercial photographic printing at Pacific Light Impressions, Vancouver, BC, Canada, she began her career in photographic production for celebrated fine art photographers, Canadian born Scott McFarland, Jeff Wall, and Kelly Wood, and American born Ed Ruscha and Harmony Korine. Petelko exhibited at Scope Art Fair 2018 in the Booth of Contemporary Art Projects USA. At Art Wynwood 2019, her large photograph Until the Moment Comes, Plexiglas mounted c-print, 48″ x 72″, is an indication of how Art can be a pleasant joyful experience, by the gracious movements that Petelko imprints to her figures in a simultaneous celebration of all human activities and feelings. Loving esthetics and harmony, celebrating the best of emotion, Petelko finds the essence of movement delicately insinuating equilibrium, intimate sensations and thoughts provoked in her artworks. Her artworks depict not only an image but also an event. For More Information about the Series Please Click at the Below Link..